It is definitely annoying losing your vehicle keys or accidentally locking yourself out of your car. 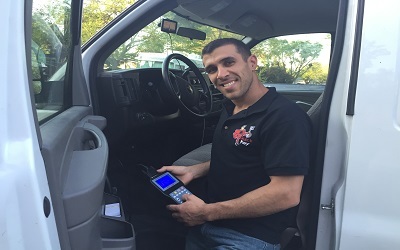 If you find yourself in need of a car unlocking, car key replacement, or emergency door unlocking, you need a fast and reliable East Bay Area locksmith company that will provide you with a quick solution. Our car lock out locksmith service is the best in the East Bay area. We are renowned for our excellent 24 hour emergency locksmith services. Our staff is well equipped with the most advanced tools and we are able to open your car as quickly as possible without any damage to it. With our locksmith services, there is no need for costly key replacement or unnecessary duplicates. When you need car lock out service in Danville, San Ramon, Concord, and the East Bay area, contact us for a safe and secure transaction. We are insured, bonded and licensed. Our Walnut Creek based team is full of specialists who have numerous years of experience on a variety of trucks and cars. We are always ready to serve you 24 hours a day, 365 days a year. Our service cars are well equipped to handle any automotive locksmith issue including glove box lock repair, trunk lock repair, automotive lock rekeying, automotive key cutting, automotive lock repair, unlocking gas caps, Car Key Repair, Car Key Replacement, Stolen/Lost Car Keys, Car Key Programming, car ignition repair, car key duplication, car key extraction and emergency door unlocking. Call us when you need a mobile lock change locksmith and for all your emergency locksmith needs.